Peaceman was part of the Japanese Prime "Arms Micron Present Campaign" as a giveway with the purchase of Prime "First Edition" toys at Japanese TRU stores. Peaceman features an orange and black deco and transforms into a double-bladed battle axe that can be held by any figure with a 5mm post-hole. 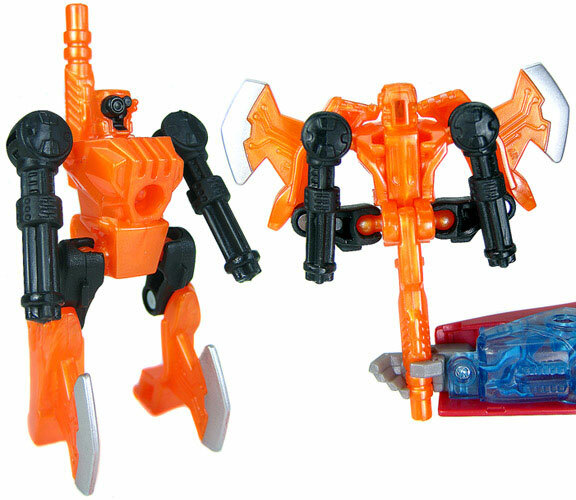 The Arms Microns were ordinary weapons that were suddenly brought to life and given the ability to transform when they were mutated by the Energon found on Earth. 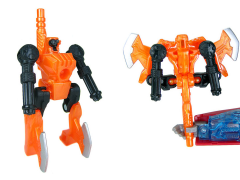 These new mini-cons can combine their power to make new weapons for the larger Transformers.